Daddy Duty will likely involve cleaning up some baby doody. 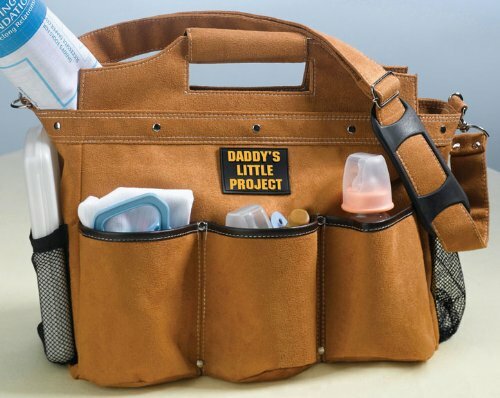 This daddy diaper bag looks like a tool belt so he’ll feel right at home and have everything he needs to care for baby and wipe that booty! Measures 17.5" x 6" x 12.5"